Few places named upon earth evoked more potential for exotic wonderment than Persia, the crossroads of empires and home to many different strains of ancient peoples. From the ancient Persian empire, through Alexander the Great, to the various waves of Arab and even Chinese influence, to the Great Mongol hoards, Persia had absorbed an astonishing array of cultural influences by the time of the expansion of Islam and Arab influence took permanent hold. But it was the Hazār Afsānah, a collection of Persian and Indian folk tales compiled in the Middle Ages that insured that Persia would forever be associated with exotic adventure. Known today as One Thousand and One Nights, the collection was expanded to include other famous tales from that part the region, featuring the likes of Ali Baba and those forty thieves, and Sinbad the Sailor. A colossal version of this map may be zoomed in on at This Web Site. 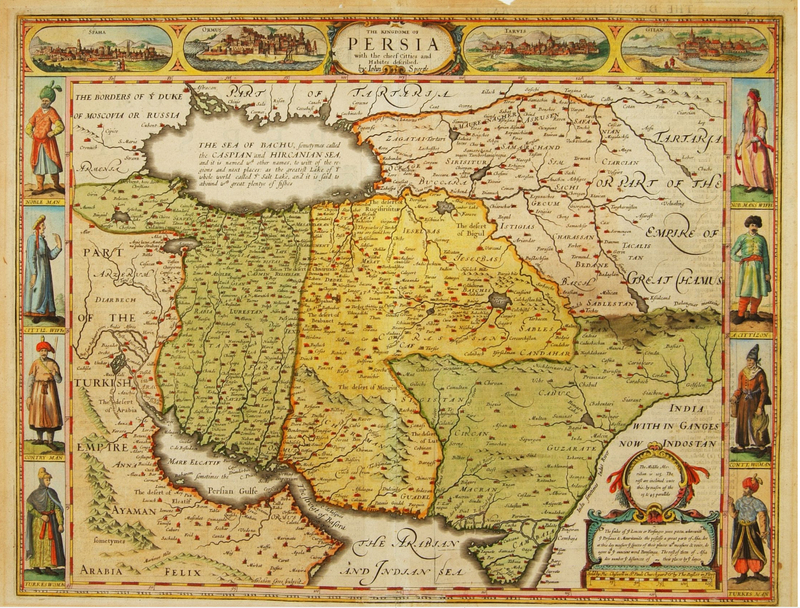 And many other antique maps of Persia can be found HERE.